The weather ruined the game against Surrey this week. We only played two and a half days worth of cricket out of four due to the weather and we all probably got a bit surprised given that the forecast on the first day was just for a few light showers. We ended up losing most of the day’s cricket. It’s disappointing, I felt we played some good solid cricket and I thought we bowled exceptionally well to bowl them out for just over 250. In recent weeks we have spoken about our top order making big runs and the top five standing up and I thought that’s exactly what happened with Lythy making a double hundred and I felt like I was getting back to form. My own personal form has been disappointing at the start of the year but hopefully that big partnership with Adam Lyth and putting a score on the board for myself will kickstart my season. It was disappointing to lose all the time that we did but I felt that if the weather had been kinder to us we might have come away from that game with a win. If you are going to win County Championships you need a little bit of luck, particularly with the weather. But it can work in your favour as well up north because it can obviously add a bit more damp to the pitch and overhead conditions can make the ball swing more. If you can get lucky with the weather and get a result when no-one is else playing then it puts you right in the box seat but there’s still a lot of cricket to be played in the season and I’m backing us to go on some sort of run. Middlesex got that result to move clear at the top and they are a good team. They performed exceptionally well against us at Scarborough and to get back-to-back wins at this stage of the season and pull away from the pack – they are the front runners and I guess that adds pressure to them. They haven’t been in that situation for a while so there’s more pressure on them. There’s still a lot of cricket to be played and we have still got a game in hand on them as well. It’s not quite panic stations yet and we just want to concentrate on what we’re doing and keep hammering our processes. If we do that and start to put some wins on the board and get on a bit of a run then we can really challenge Middlesex in the run-in. I was pleased for Lythy with his double hundred. He has been a little bit hit and miss in the Championships this year but I saw a real ruthlessness about him at the Oval. It was a good pitch but we played against plenty of spin as well and you could tell he had the bit between his teeth to score big. As for his England stuff, Alex Hales has obviously started to cement his place at the top of the order so it’s going to be tough for him. 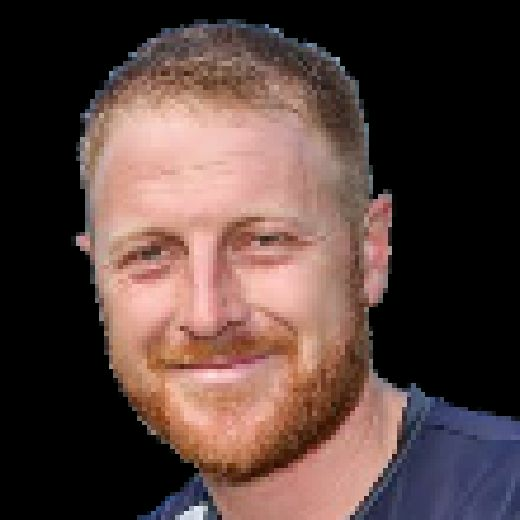 But he can take a look at someone like Jonny Bairstow who was left out and went back to county cricket and piled the runs up for a good 18 months. If he can do that then there’s no reason why he can’t back in the fold. We know the talent and ability that Lythy’s got, it’s there for everyone to see. It’s just about putting a decent pile of runs on the board to put the pressure on the selectors. Myself, to get a score and to graft it out like I did, I have felt in good nick the last few weeks without making a big contribution and hopefully it will kickstart my season. With Garry Ballance on Test duty it’s up to the other batters to step up to the plate. If I can get on a run as well in the last seven games and really put some big scores on the board then it’s something that will add value to the team. We’re now in the middle of a run of games in the T20 Blast and 50 overs game and I might help out a little bit on the coaching side of things. I helped out at Derbyshire on Sunday and I was down at Trent Bridge on Friday to chip in as well. I feel I can add value to the team that way and I think over the next week or so that I will carry on my stuff in the nets and helping with the team where I can. Probably the week after I will play a second team game, looking to put a big score on the board ahead of that Warwickshire game at Headingley on August 4. It’ll soon be the knockout stages in the T20 and the group is very, very tight as well. They have got a couple of big games coming up so hopefully they can put a good show on for the crowds at Headingley. Travis Head has also come in and he looks a good player from what I have seen of him on the telly. Hopefully he can make a difference.